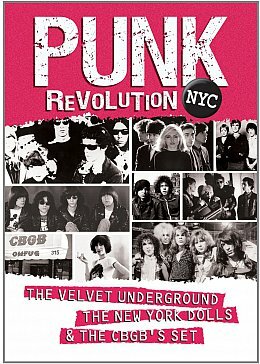 Because so many who were there at the time are fading or have passed on (just one remaining Ramone from that classic album cover), this deeply detailed double DVD/three and a half hour doco on the New York punk scene (starting from the Velvet Underground) is an important document for those coming late, or only recently, to the story. What especially elevates this is the calibre of those whose voices are heard throughout speaking about the scenes (Warhol in the late Sixties through the New York Dolls to CBGBs a decade later) as intellectual observers or as insiders. So here a seriously overdressed singer/drag queen Wayne County (Jabba the Hutt in Robert Smith's hair) and the urbane Robert Christgau before a book-lined shelf have their say from very different perspectives. As do photographer Roberta Bailey, Richard Hell and Richard Lloyd, ex-Ramones manager Danny Fields, Lee Black Childers from Warhol's crowd, Lou Reed biographer Victor Bockris, Craig Leon who produced Blondie, Suicide and the Ramones . . .
And then there is rare footage of Lou Reed and John Cale in an early performance, the New York Dolls (straight men dressed like bad drag queens, says County, but "quite possibly the greatest band of all time" says Christgau with a laugh of nostalgic enjoyment) and oddball theatre productions in flickery black'n'white. And handmade posters from the period. For those in a hurry to get to the Ramones however, this must seem glacially slow with a lot of throat clearing, but it astutely pull together the threads of theatricality through alternative stage productions in small clubs and rooms, and the underground scene which started even before the Velvet Underground. 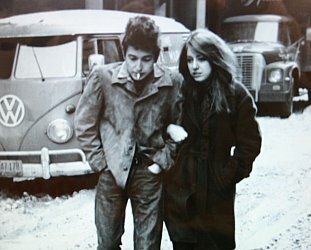 The thread which holds this together is the reductive simplicity of the Velvet Underground, New York Dolls (right) and the Ramones which was an innercity, cynical and tough rejection of the West Coast hippies, then the sensitive LA singer-songwriters out of Laurel Canyon and technically proficient but soul-sucking prog-rock. And from Warhol's DIY ethic came the idea that bands needn't wait for a record company but just get out and do it for the audience which was largely comprised of people much like themselves. "These are pop people," says Christgau. "Folk people are into learning how to play those licks they heard on the Harry Smith Anthology, pop people don't think that way. Andy Warhol himself was, on the surface, a denial of technique, a denial of self-expression. "For Andy Warhol there was a sense that art was conceptual, and that is a very New York idea. This is the intellectual centre of the country and we care about concepts here. "We take them seriously and are willing to go futher with them . . so sure, the notion you can make great rock'n'roll without being good at your instrument comes right out of that conceptual idea." Cue the antagonistic Suicide (right) out of the art end of the spectrum and owing nothing -- unlike the Dolls who were their immediate contemporaries -- to the kitsch drag scene. Simon Reynolds notes Suicide were the ultimate punks but were totally on a limb because they didn't have guitars and drums . . . but they were the first group to identify themselves as punk on a flyer and were inspired by Iggy Pop's confortational performances. "So genius they went over everyone's head," says County. "Suicide were room-emptiers and people purposely put them on at the end of the night because they knew the minute Suicide went on, the room would empty. People ran out." "The only person who got hurt was me," says Alan Vega of Suicide, "but I really did wonder if I was crazy, I think in the beginning I was. I'm not sure now though." Like the Velvets before them, Suicide didn't sell albums. The Dolls' debut of the early Seventies didn't sell either although Christgau laughs when he says he thought it would take off because Bowie was having some success as a glam artist. "But he's British and they're allowed to be faggots, not our guys". 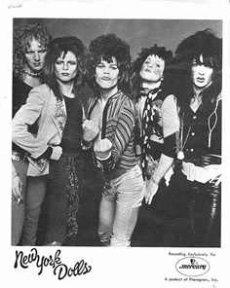 They were voted both the best and worst group of the year by readers of Creem magazine in '73, and certainly influenced British rock when they toured there. Then along came Television (right) who needed a place to play -- "off the beaten track and scuzzy enough" says Television guitarist Richard Lloyd -- so they approached Hilly Kristal at CBGBs (which stands for country, bluegrass and blues) who allowed them a Sunday night. Then another. Then a Saturday and Sunday . . .
And a scene -- and the Blank Generation -- was born. 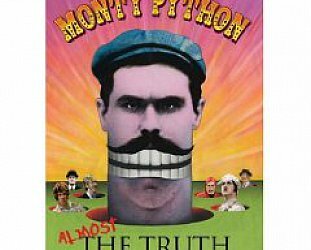 That much -- with excellent footage throughout -- fills just the first disc here, which indicates the depth and breadth of this film. The second half brings in poet-rocker Patti Smith who pressed her own single Hey Joe/Piss Factory (more DIY) and reflected back to the Stones (as did the Dolls) then the Ramones and Blondie (initially girl group style from the Sixties also). The Talking Heads, the Heartbreakers . . .
All very different, but all out of the Lower East Side and all out of CBGBs. Then -- mentioned in the last 40 minutes here -- the influence made a hop across the Atlantic while the Stateside bands (except Suicide) really started to take off, then came New Wave and No Wave . 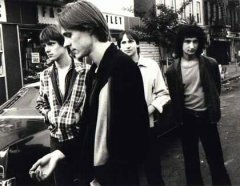 . .
For many over a certain age, this will be familiar territory (but made more real by the interviews with the likes of Richard Hell and the rare footage), and for those new to this vibrant decade between the Velvets and the first Ramones album it could come as an inspiration and a revelation. After this primer it is into the albums . . . and probably a ticket to New York where all this once happened.